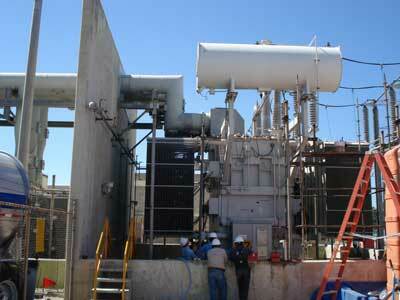 Equisales provides equipment and qualified personnel needed to perform critical substation testing quickly. Post-installation testing and commissioning are just one part of our fast-track, full-service offerings. Our experts travel to high-voltage sites around the world to commission new equipment and to perform tests that ensure the safe operation of substation equipment. We check everything from grounding cables to the resistance of transformer coil windings. Field technicians complete visual inspections and use digital equipment to verify the integrity of each component. As fast-track providers, we offer rapid test results to ensure that power facilities can be commissioned or repaired without delays. We have a diverse inventory of specialized testing equipment designed for checking the integrity and operation of transformers, circuit breakers, switches and all types of substation equipment. Before we supply high-voltage equipment for fast-track power developments, we perform tests and complete quality controls in our Houston facilities. Additional post-installation tests are executed in the field to verify the performance of interconnected components. Our technicians perform the following equipment-specific tests at high-voltage substations worldwide. Effective testing programs can detect problems, increase performance and improve maintenance strategies. Test results give facility owners and operators valuable information about the condition of their high-voltage equipment. For example, the results of an oil analysis might indicate that the fluid should be processed to remove moisture and contaminants. Specialized tests, such as those performed on current transformers, measure the saturation, ratio and polarity of primary and secondary currents. Advanced tests give clients insight that guides maintenance decisions in the future. Sweep frequency response analysis (SFRA) is one test that gathers a range of data. Testing devices show frequency responses from all equipment that has coil windings, including voltage transformers. Responses can reveal internal mechanical problems. They can also establish a baseline reading that can be used in the future. Infrared inspections are particularly versatile. Thermographic cameras can pin-point hot spots and dielectric leaks. They are also valuable for maintaining the security of high-voltage facilities. When problems arise, a rapid response is critical for mitigating damage and resuming operations. Extensive testing capabilities allow us to make a diagnosis on-site and present potential solutions that compare the cost of repairs and replacements. At Equisales, we offer the services and equipment required to build, commission and maintain fast-track power facilitates. When energy demand increases, it is important to care for existing fast-track sites. To arrange substation testing at your transmission or distribution site, call 713-733-3999. Our field technicians are available to complete routine and time-critical tests at high-voltage facilities around the world.